Temptation is a proven producer of Blue Ribbon offspring. 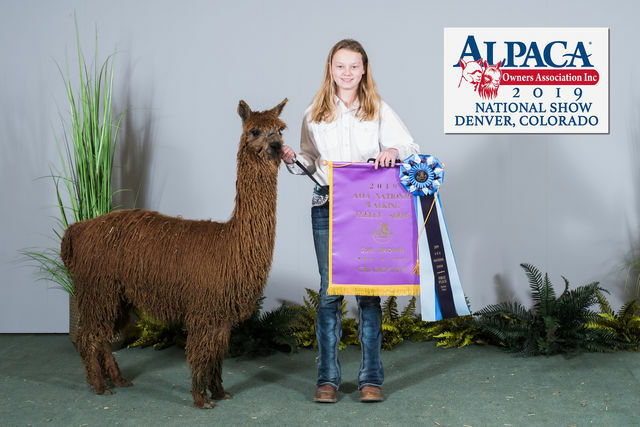 Her 2014 cria Sasia just finished up her juvenile show career capturing the Blue Ribbon at the 2015 GWAS Alpaca Show! She was also awarded CC at the 2015 RAC. 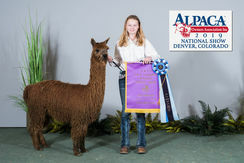 This girl is out of the one and only DDF Double Dutch's American Spirit who sold for $175,000 a few years ago. 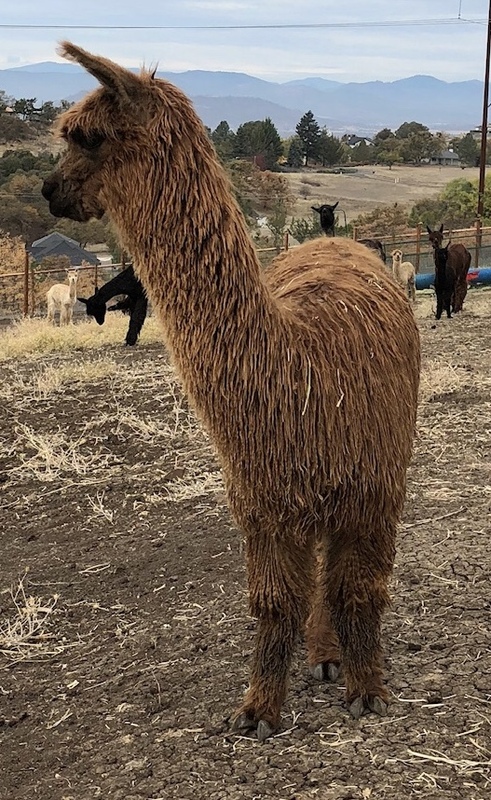 Ankhesenamun is our first cria out of WLK Temptation and she is a beauty. Living up to her given name as queen in the great dynasty of Egypt! Ankhesenamun carries all the lock and luster of both her parents on a very large sturdy frame.